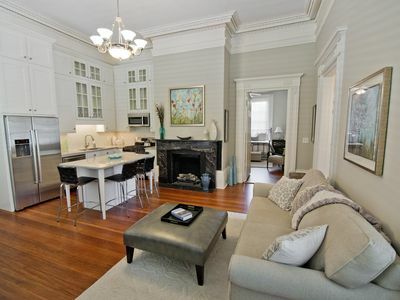 Romantic Historic Home In Downtown Charleston. Right Where You Want to Be! Built in 1834, this lovely rental is one of only seven condo units in the historic Frederick Shaffer House, which was built in the Greek Revival architectural style. 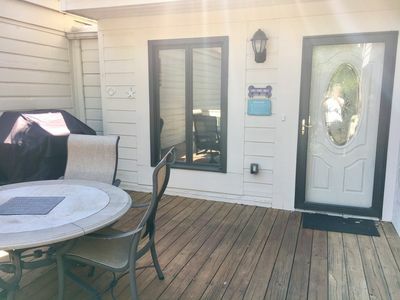 The house has a columned piazza across the front with four sturdy rocking chairs for your sole enjoyment. The home also boasts a gorgeous central hall. 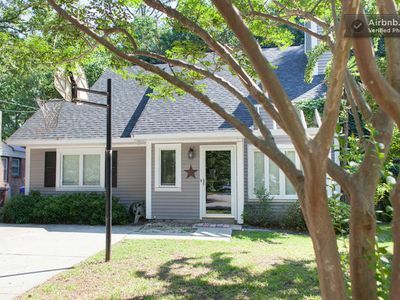 Our meticulously renovated unit served long ago as the main receiving area of the home. Once you step inside onto the original heart of pine wood floors of this luxury unit, you'll be enthralled by the 13 foot ceilings surrounded by stunningly detailed plasterwork. Bright cheerful light shines through the many large windows. 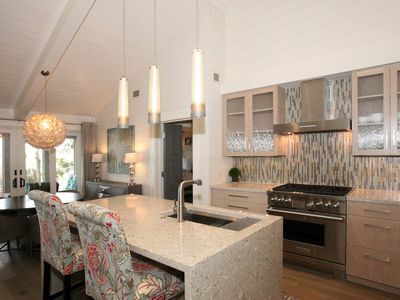 The main living area is open to the magnificent kitchen with sky high cabinets, designed by a talented Charleston architect, and featuring a top of the line Bosch appliance package. Magnificent Kashmir White granite counter tops accentuate the space and top the kitchen island, which also serves as the unit's main eating area. A gas marble fireplace centers the room in warmth and is highlighted by elegant decorating details. 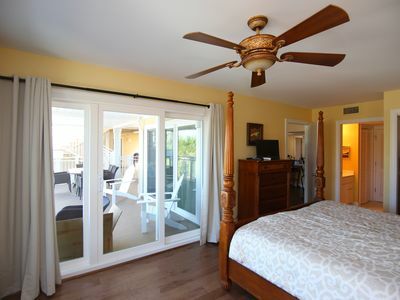 Off of the kitchen are the master and guest bedrooms. The spacious and romantic master bedroom features an iron King size bed with comfortable soft bedding that promises serenity. 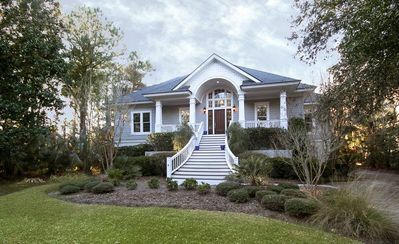 Tastefully decorated, the room features a marble gas fireplace, walk in closet with a stackable washer and dryer, and an en suite master bathroom with soaring ceilings. 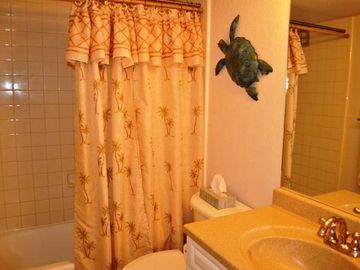 The latter is furnished with fresh towels, double sinks with granite counters, and a large lavish shower. 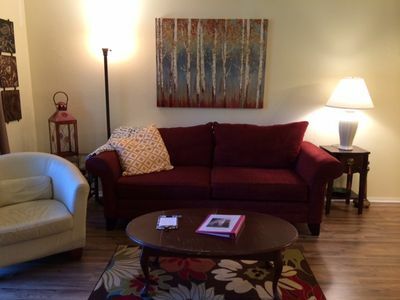 Also off of the main living room, which includes a pull-out couch for additional sleep arrangements, you will find a lovely guest bedroom featuring an elegant queen size bed. This cozy airy room surrounded by tall windows is decorated in soft colors for their calming charm. Take a step outside of the guest bedroom and enter into the guest bathroom. Enjoy a scented bubble bath or a warm shower in the charming porcelain claw foot tub. The bathroom sink is surrounded by immaculate marble counter tops. 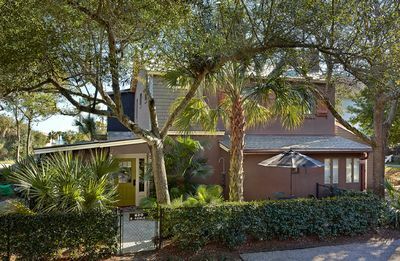 On behalf of our guests, we provide high speed Internet service and cable television. A very special perk is access to this unit's parking space--a rare treasure in downtown Charleston! Your car will be secure behind a gated iron fence located on the property. 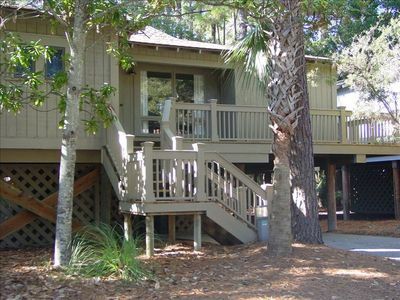 150 Yards From The Beach! 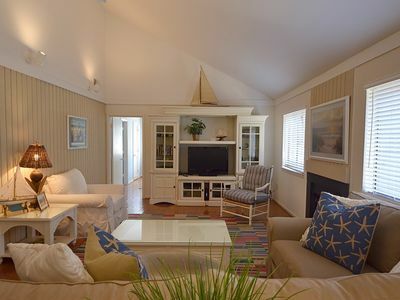 Beach Cottage, 250 yards to the Beach. Quiet cul de sac street. 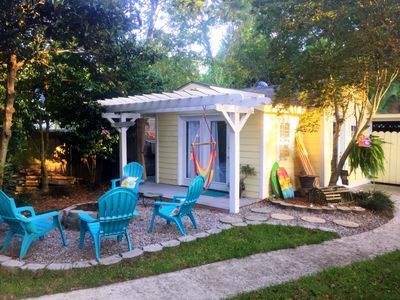 Romantic Beach Style Cottage minutes from Historic Charleston & Folly Beach! Great Location! Beautiful Villa! 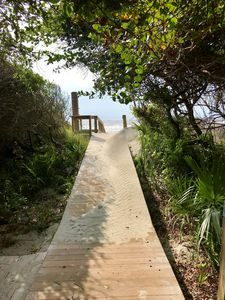 Walk to Beach, Golf, Pools!